and Michelle from Apples & ABC's! 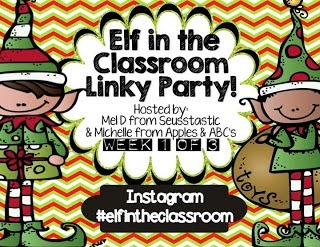 Click here to go to the linky party! This is the first day we discovered our elf. We tried naming him and couldn't decide. 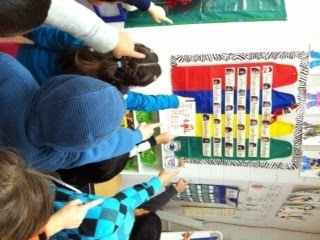 This is until a 1st grader asked if "Cheeky" had arrived. 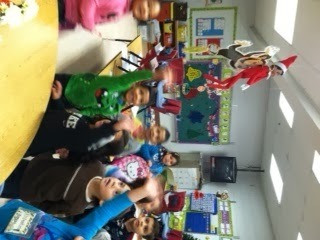 I told my kinder kids and I guess Cheeky will be his name since my previous students still have those memories! This day we found Cheeky "hanging around" with my monkey decorations! 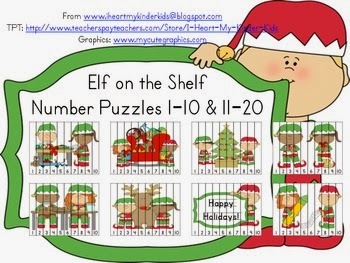 Check out my Elf on the Shelf Number Puzzles in my TPT store. Click here to purchase these!